It’s also the best book he co-wrote with Mark Greaney. I suppose the bar is not very high given the quality of their latest books, but I really enjoyed this one. The topic is uncannily timely given the current events in Ukraine. The book cleverly integrates Red Storm Rising-style sequences, like the fantastic opening passage of the book, with the Jack Ryan intelligence analyst sections. I wish there were more of the former. However, given the gimmick of having the story unfold in parallel both in the present day and 30 years ago, I was happy to see Jack Ryan Sr. back in action as his younger more active self. I have to admit I am not sure how objective this review is. I grew up on Clancy books in the 1980s and 1990s and lamented his passing a few months ago. This book managed to hit all the right touches of nostalgia. All the characters I grew up loving make an appearance. Somehow it also felt very relevant and I was entertained throughout. 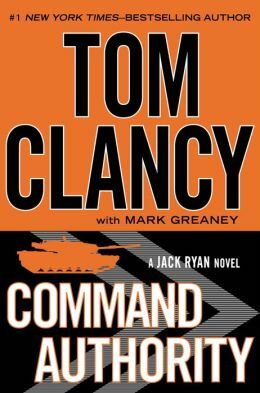 If you are an old school Clancy-fan, Command Authority is worth checking out.